Cape Town and its surroundings have just become more interesting. If you look at the Table Mountain range and the Hottentots Holland Range in the east you can see that there is a vast valley in between them that at some time in the past was covered by water. 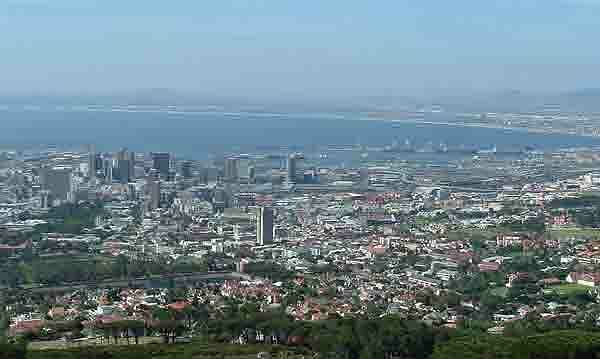 Table Bay and False Bay would have been one body of water with Table Mountain and the Cape Peninsula being an island. When the waters receded the land appeared and left us with a large valley which has become known as the Cape Flats. The soil on this plain is sandy as the bottom of a shallow bay would have been if covered by sea water for any length of time. 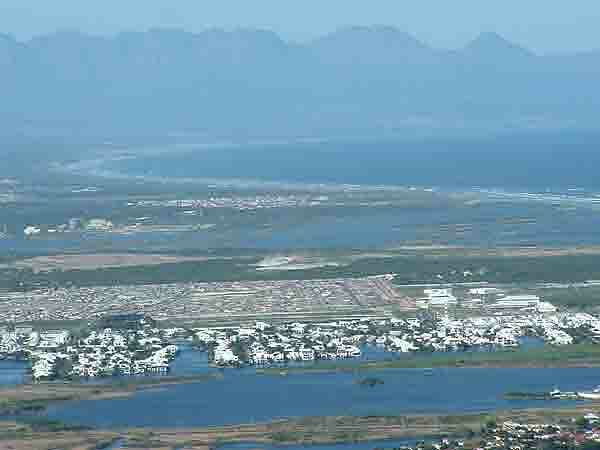 Experts say that the inland lakes found on the Cape Flats are leftovers of the bay that once covered the area. It's all very interesting when one looks at the history and the discoveries made by archaeologists over time. Recently however things have hotted up again on the archaeology front when some divers who were exploring wreck sites in Table Bay discovered a stone age axe in the sand in Table Bay. This has lead them to believe that Table Bay must have once been dry land. Can you imagine Table Bay dry and Robben Island being a small hill in the middle of the valley which forms Table Bay. 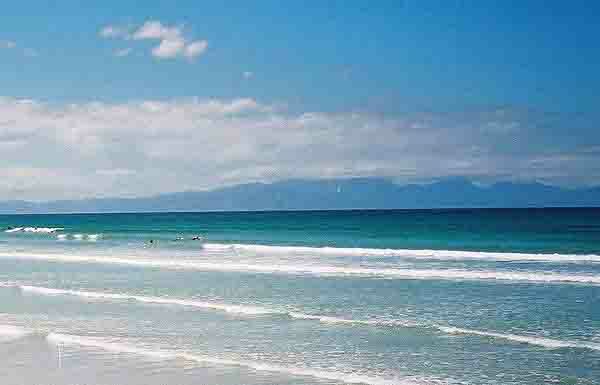 If Table Bay were dry land then False bay would also have been dry land the experts say. Apparently during the ice age water levels were 100 metres lower than they are today . That being the case the Cape Peninsula and the Hottentots Holland mountain ranges would have been mountainous areas on an otherwise flat plain where wild animals would have roamed. Evidence from other discoveries in the Peninsula shows that pre-historic man would have roamed the plains hunting the wild animals that lived there. The discovery of a stone age axe in the middle of Table Bay confirms that at some stage in the history of the Cape, Table Bay must have been dry land. Of course as I see it someone could have used rocks to anchor their boat in Table Bay without knowing that the rock was a stone age implement. However, all of this has created much interest for archaeologists who have now set out to search for more underwater evidence of pre historic man roaming the land that is now under the waters of False Bay. To do this they have decided to explore the underwater caves along the False Bay coastline. These of course would have been on dry land a 100,000 years ago when the stone age man roamed the area. The only place to look for caves would be along the cliff faces of the Cape Peninsula and the Hottentots Holland mountains on the eastern side of False Bay. To date a semi submerged cave has been discovered near Cape Point and has been earmarked for further exploration. Archaeologists are hoping to find evidence of pre historic man in the floor of the caves.